There used to be a time when wood was harvested and worked by hand. It was used for making all sort of structures, from homes and barns to even tools. Now, to honor the tradition of woodcraft, Boisgris is creating some of the finest pieces of furniture out of the wood that once was. By using recycled wood, Boisgris preserves both the tradition and the life of this natural material. 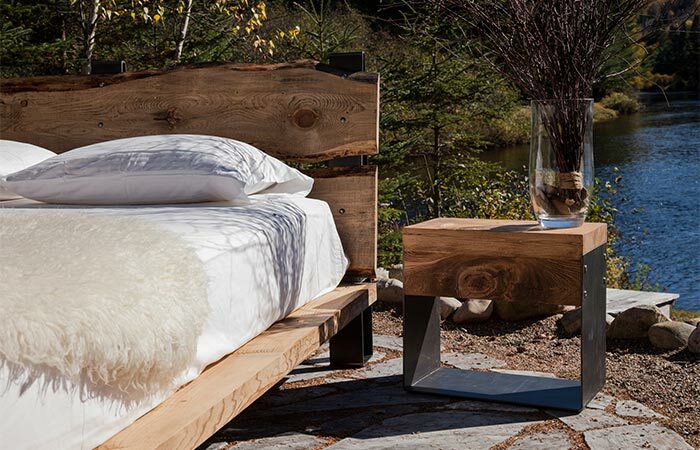 Each piece is handmade entirely in the province of Quebec, Canada, where Boisgris is based. All pieces are made by hand from used barn wood, in combination with recycled spruce, pine, fir, and hand-stained steel. Though the designs for each model are the same, each piece truly is unique in grain and texture. ‘Le bloc’, ‘Le chevet’, and ‘La bûche’, are designed with small spaces in mind, and they serve as side tables or nightstands. 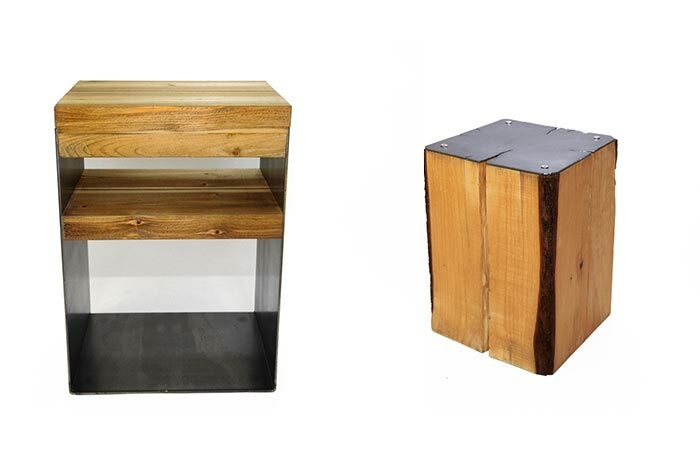 The wood adds warmth to any living space, and in combination with metal, gives these pieces a rustic but modern feel. ‘Le chevet’ and ‘La bûche’ can also be used as side tables or nightstands. 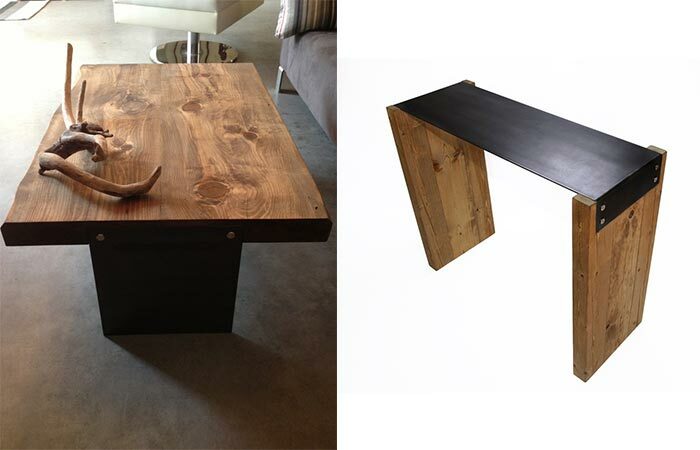 ‘Le café’, is their signature coffee table with recycled wood top and live edge (the bark is still attached). Different in design, and serving the purpose of console table, the collection also features ‘La console’, a moody, symmetrical looking piece with satin-varnished steel top. ‘Le café’ and ‘La console’ are two more pieces in this collection. 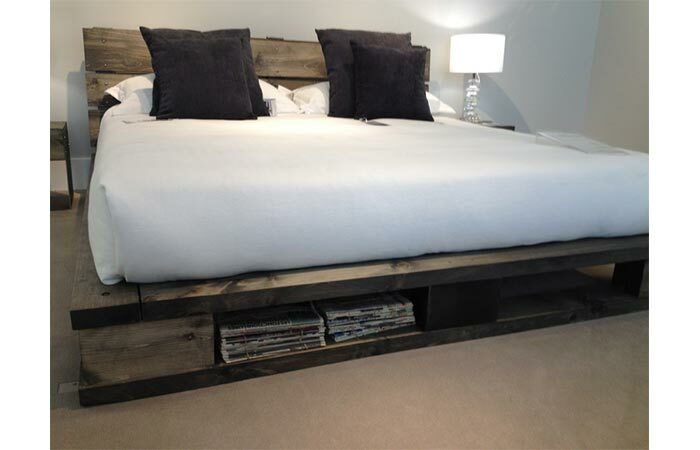 Not to forget a very comfortable ‘Lit ZZZ’ bed frame made from recycled wood planks. It has an exposed space below that can be used for storage. 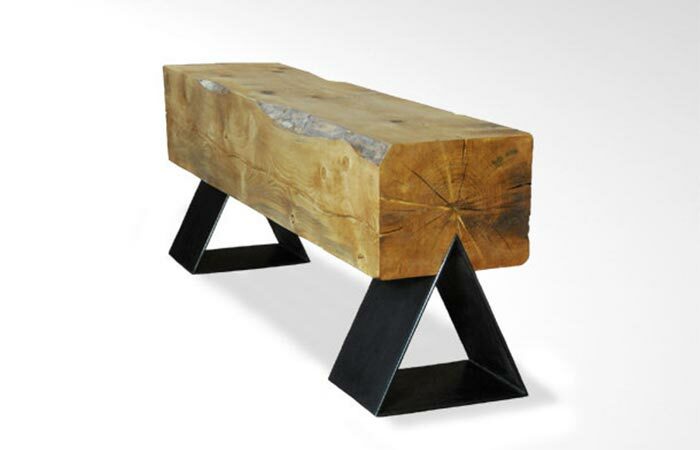 Recently launched, a bench ‘Le banc’, is made from a recycled and oil-stained spruce beam. Holding true to the design of Boisgris, this one also features gunpowder-stained steel, used in making the minimal triangular legs for this bench. The newest addition to the collection, the ‘Le banc’ bench. All pieces are crafted paying attention to the most minute of details (the brass hex screws contrasting with the dark wood, for example). The wood is ethically sourced in a way that has no environmental impact on lumber supply and the steel is locally welded and varnished by hand. Each piece is one-of-a-kind, but Boisgris also offer a possibility of “made-to-measure” furniture, so that together with Boisgris, you can participate in designing and creating a piece that fits your space. For more information on the collection, check out Boisgris website.